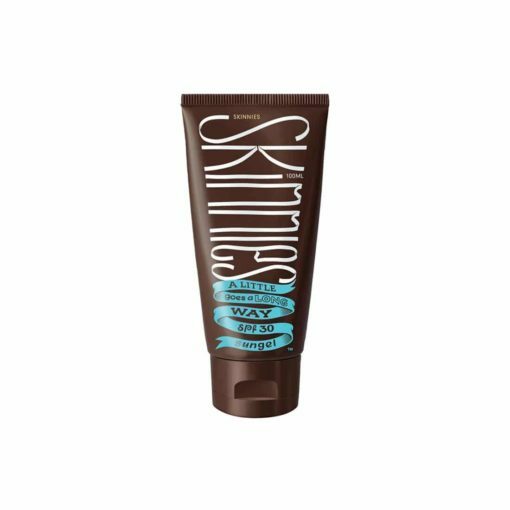 Skinnies is a new kind of broad spectrum sunscreen that’s not diluted with water, so a little goes a long way. A pea size blob is all you need for your face, neck & ears for instant long lasting UV protection. Yeah right you say. Hell yeah we say. Skinnies dries quickly, isn’t white or greasy, has no parabens or preservatives & is SPF30 even after 80 minutes in water! Excellent product together with great protection. Highly recommend. Skinnies is a great product . My skin has suffered from years of sun damage . I have been applying this cream to my face daily for the last 4 years with great results . Would recommend it to everyone . Excellent service, excellent product wouldn’t use anything else. Best thing I have ever used as a sunscreen.